The Metropolitan Water District (MWD) of Southern California is a consortium of 26 cities and water districts that provide drinking water to nearly 18 million people in parts of Los Angeles, Orange, San Diego, Riverside, San Bernardino and Ventura counties. The MWD currently delivers an average of 1.7 billion gallons of water per day to a 5,200 square mile service area. 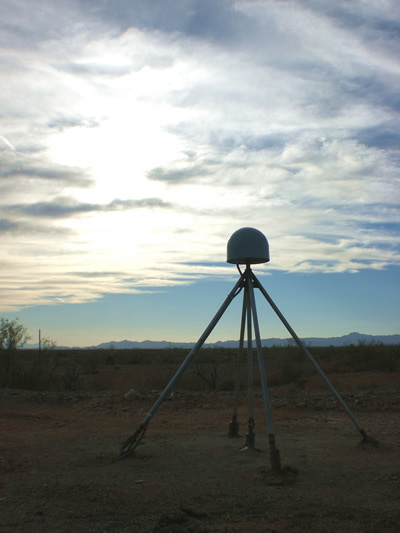 In September of 2007, UNAVCO agreed to support the MWD's Geodetic Control and Deformation Programs unit with two CGPS sites. These sites are nearly identical in design and construction to the standard PBO CGPS sites. They were both placed near Vidal Junction, CA in close proximity to the Colorado River Aqueduct which runs for 242 miles from Lake Havasu to Lake Mathews near Riverside, CA. The data collected from these sites will be transmitted via radio through MWD's network for their present and future needs to support the environmentally and economically responsible delivery of clean and safe drinking water to Southern California. This data will be made available to the UNAVCO archive. Figure 1 - Completed deep drill braced monument MWD site. 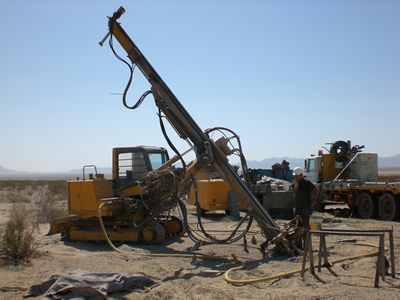 Figure 2 - Drilling in progress for one of the MWD DDBMs.